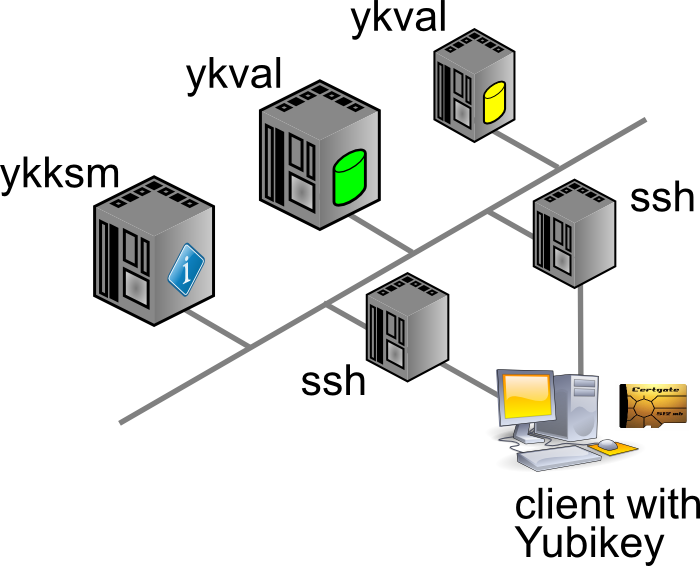 Your guide on how to get OTP self hosted Yubico technology really helped me out. I had a question though. As I add more folks to the /etc/pam.d/sshd file it seems to want to ask for the yubikey OTP once for each new user. I am sure it is not supposed to act like that and will make the key unusable when I roll it out in Production. Your example had one user inserted, so my question is did you get more than one user to work? If so how? Documentation on Yubikeys is all over the place and most of it useless, I am on Centos 7. I'm not quite sure I follow, because you do not add people's accounts to /etc/pam.d/sshd. You only add a hook to the Yubikey plugin in there. Now, when it comes to registering new users, it makes sense that the Yubikey software wants you to submit the OTP at least once. This is done, in order to sync up the mathematics in the key with the maths in the server. RSA tokens and Google Authenticator need the same thing. I'll drop you an email, so we can chat a bit faster than through here. Afterwards I'll add a comment detailing the outcome.